The Barrie Art Club - $WDW: Marianne Broome: Acrylic: Big Bold Florals! $WDW: Marianne Broome: Acrylic: Big Bold Florals! 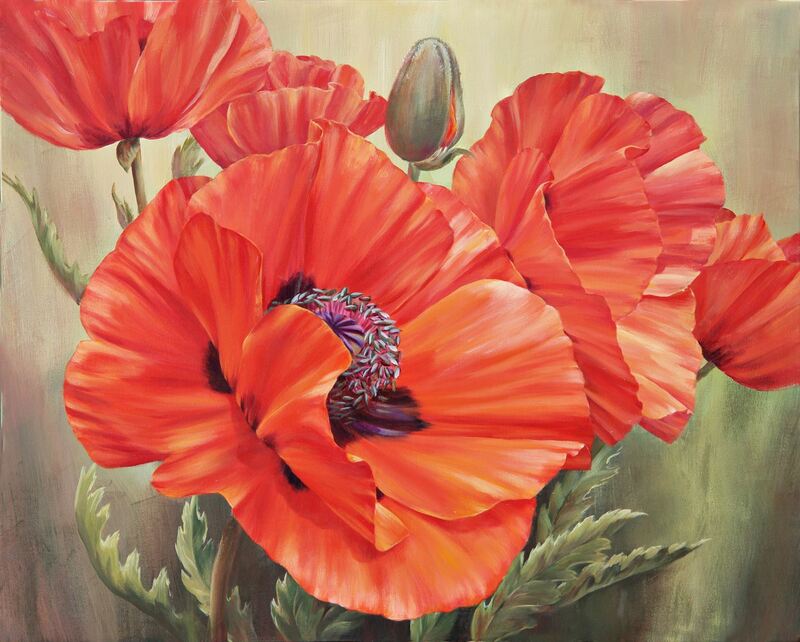 Explore vibrant, realistic flower paintings in acrylics. Marianne will demonstrate step by step, explaining the use of a variety of techniques. You will learn about soft blending on petals, hard and soft edges, achieving depth, handling the background, overall colour harmony and much more. Marianne gives lots of individual attention and extra tips to help you with your own paintings. Marianne’s art education in England was furthered by courses in Canada. She is a full-time artist and a sought-after art instructor for both acrylics and watercolours. Her stunning paintings of flowers, landscapes and abstracts have been exhibited in many juried exhibitions in which she has received numerous awards, including several “Best in Show”. Her work can be found in private and corporate collections in many countries.